The mere mention of Six Sigma often elicits a debate as to whether it is has delivered on the huge promises attributed to its use. There have been a number of successes and failures in the application of Six Sigma. I believe all of the failures have been due to the misapplication of the Six Sigma tool suite. When Six Sigma is used as designed, and as taught, it is an invaluable tool in the analysis and correction of defects and in the design of processes. Notice the word ‘tool’ in the description above, Six Sigma is NOT an end-to-end Quality System. Six Sigma is a rigorous analysis, improvement, and control tool that should be part of any companies quality control systems. The basis of Six Sigma is DMAIC; Define, Measure, Analyze, Improve, and Control. Although Six Sigma can be used in a number of ways such as; defect correction, process design, and lean manufacturing the basis remains a rigorous analysis, improvement (or design in the case of a new process), and process control step. 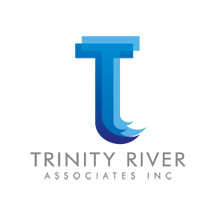 Whether you have an existing Quality Control process and wish to add Six Sigma to your suite of tools, or you need to establish a total Quality Control system, which incorporates Six Sigma, Trinity River Associates can help you is several ways. changes to the processes that can improve your product quality. improvement tools, TRA can help build your Six Sigma team. Sigma remains a good value for the expected returns. to train always remain justified for the expected returns.